Chugh Group is a success story linked across 3 decades and continues to achieve higher targets endless for quality performance and service in diverse fields of real realty business. The company enjoys a strong repute in Indore and has made its position as one of the major company in the real estate sector with projects in major cities of central India. 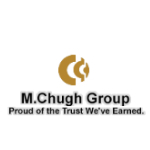 Chugh Group is confident to be among the front runners in the reality sector in central India. The company is managed by highly qualified professionals who are fully engrossed to ensure that the company maintains its high standards in quality construction, timely delivery and customer satisfaction. On our path to growth, we not only promise exquisite homes to our customers but also endeavor to gain their trust through quality commitment and dedication.